Hindustan Aeronautics limited, Accessory Division, Lucknow has invited application form eligible candidates for the engagement of apprentices. The apprentices would be selected on the basis of performance in a written test. 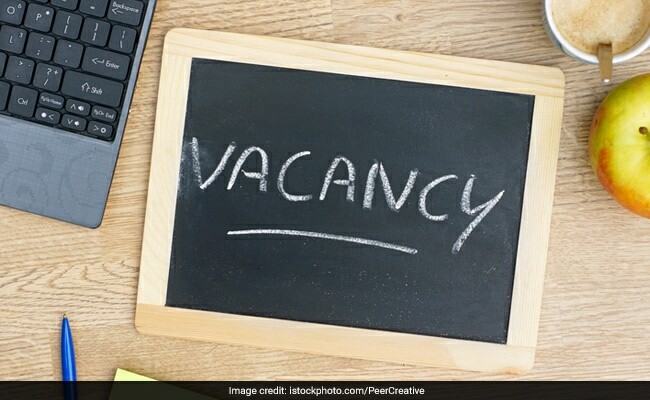 New Delhi: Hindustan Aeronautics limited, Accessory Division, Lucknow has invited application form eligible candidates for the engagement of apprentices. The apprentices would be selected on the basis of performance in a written test. The applications will be accepted online only and the link to submit online applications will be activated on December 12, 2017 at 9 am. The last date to apply online is December 26, 2017 (4 pm). The admit cards for the written examination will be available for download on the official website between January 12 and January 20. The candidates applying to nay of the trades advertised should have at least passed higher secondary school examination form a recognized board. In case of Welder and Sheet Metal Worker, the candidate should have passed class 8th examination. The candidate must have completed ITI in 2014, 2015, and 2016. Those who have qualified in 2017 can also apply provided they have original mark sheet and certificates. Appearing candidates can not apply. Candidate must not be older than 27 years as on December 31, 2017. OBC candidates will have 3 years relaxation, SC/ST candidates will have 5 years relaxation and PwD candidates will have 10 years relaxation on upper age limit. The online application link will be available on the HAL official website: www.hal-india.com. Candidates would, however, need to register on the www.apprenticeship.gov.in website, without which their application will not be accepted.